Our staff are living their Baptismal call, leading young people to build the Kingdom of God. for summer 2020. Contact Director Rudy Poglitsh at 907-232-2066 with any questions, any time of year. 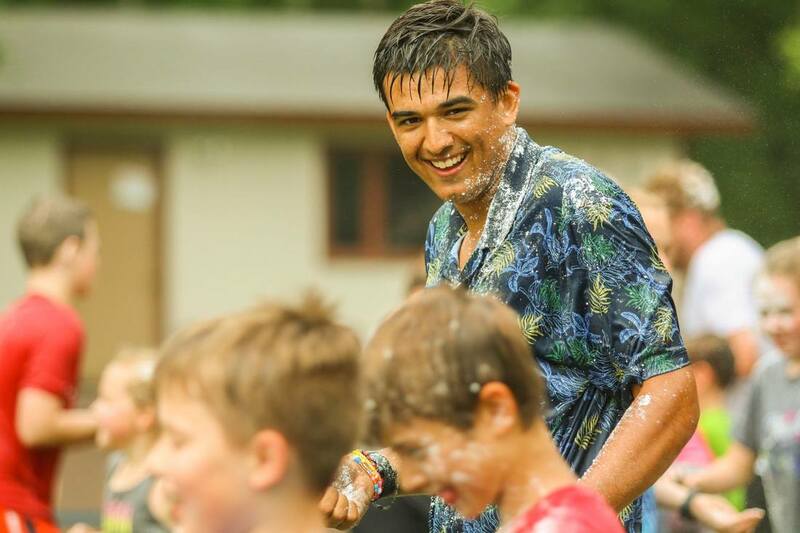 the campers with a joyful heart, high responsibility, a great sense of humor, and a passion for adventure! 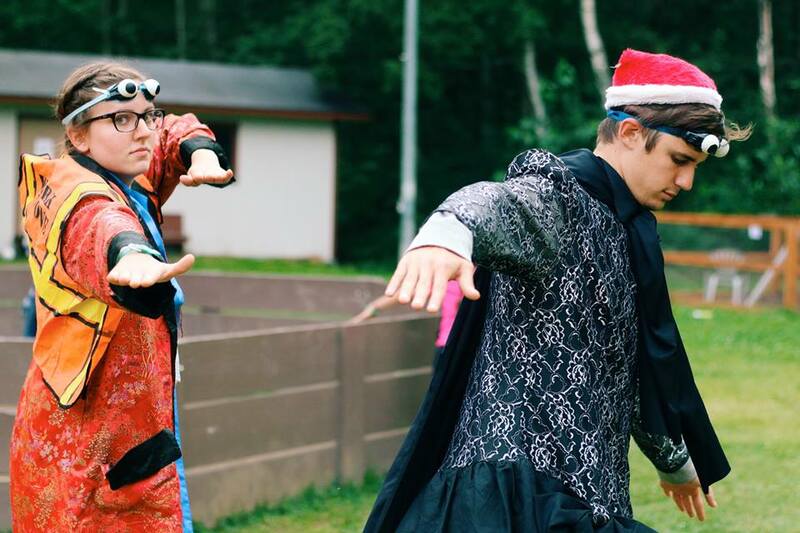 The experience we share with the children at camp has a lasting affect on their lives, and as we take this very seriously we expect you to as well! 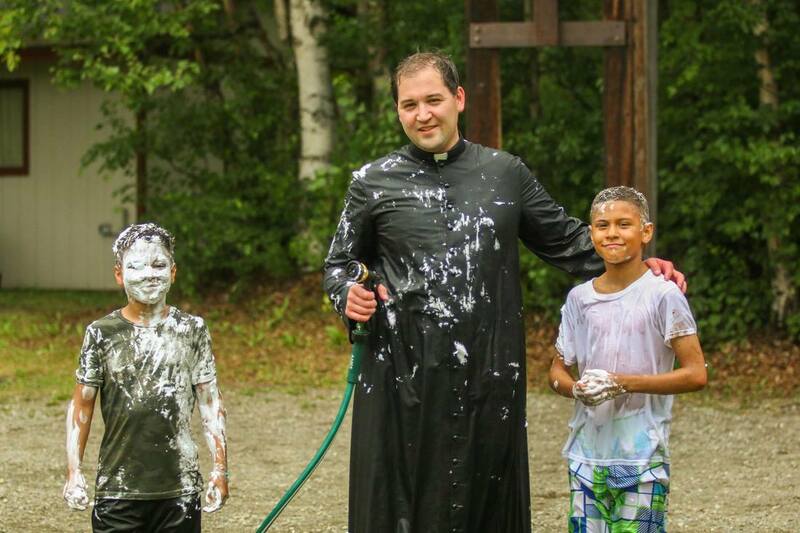 Q: I have never worked at a camp before, does this automatically eliminate me from being considered? we have hired many people who have never worked at camp before. 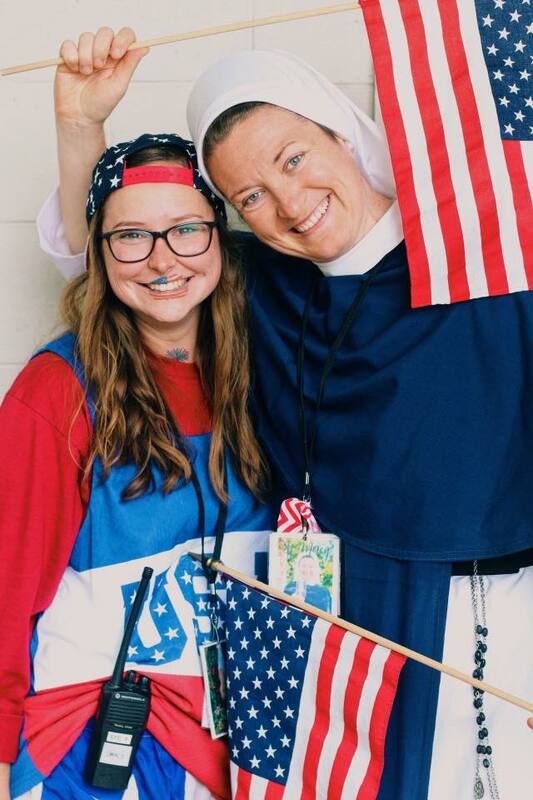 We just expect you to have a passion for the faith and for kids! Q: If I don't live in Alaska am I still able to work at this camp? A: YES! While we do have some Alaskan counselors, majority of our staff comes from out of state. Q: Do I need to be Catholic to work at St. Therese's? we expect our counselors to be practicing and committed to the Catholic Faith. If you are currently going through RCIA and will be entering The Church on Easter, you are eligible for being hired. Q: What is the difference between a Floater Counselor and a Cabin Counselor? A: A Floater Counselor is not assigned to one specific cabin. 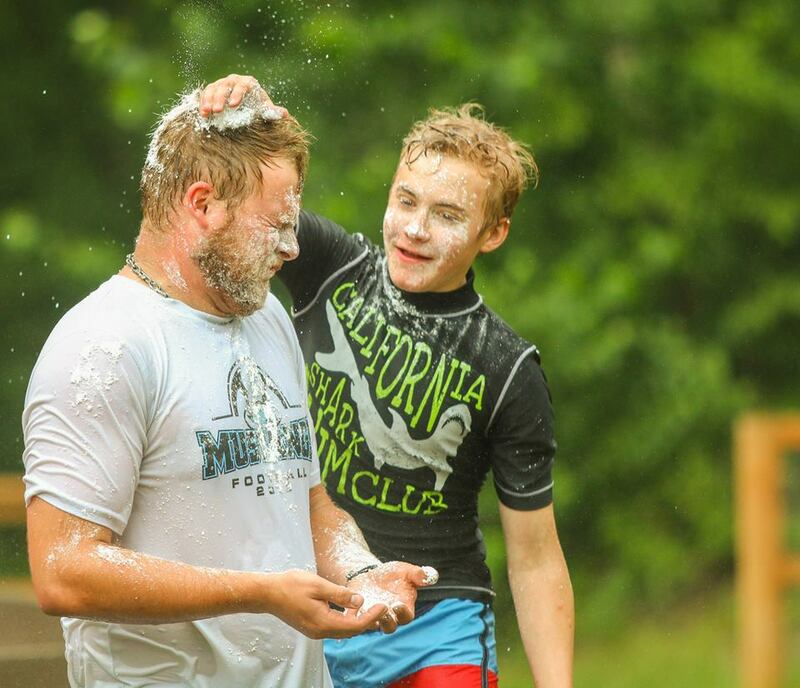 A Cabin Counselor is specifically assigned to a cabin each week and their focus is 100% on their cabin. The floater counselor floats around and assists the cabin counselors who have campers that might need a little extra attention. They also run shower time and work with the campers to make sure the bathhouse is clean everyday. The Floater is expected to join a cabin each night for night prayer and Winner's Circle (which is cabin small group). Q: If I am coming from out of state does the camp pay for my plane ticket? A: The camp does not cover the cost of getting you to and from Alaska. Q: If I am flying into Alaska, what airport should I fly into? A: If you are flying into to Alaska you will fly into Ted Stevens International Airport in Anchorage. The airport is an hour away from camp but we provide transportation to you once you arrive. Majority of flights are red eyes and come in super late at night. Our Senior Staff is used to this and has no problem picking you up at an odd time of the night! Q: Do I need to fundraise money to work at St. Therese's? themselves to pay for their plane ticket to and from Alaska. If you don't have the funds to cover your ticket then we highly recommend fundraising! We do provide lodging, food, and a small stipend for your service to our camp. Q: I noticed we have a week off to explore Alaska, how do we get around and what does that consist of? as well as their week off. The staff usually does a lot of tent or public use cabin camping during this week off. The Staff travels to places such as Homer, Seward, Talkeetna, Hope, and Denali! Staff is expected to pay for all gas, food, and lodging during their week off. Q: How many people work on staff and how many campers does the camp serve to? A: There are 15 people on staff (this excludes our Camp Director/Cook/& Nurse). We have 4 Senior Staff members, a program assistant, and 10 counselors (5 male/5 female). We serve to around 56 campers a week. Q: Alaska is basically in Canada, so will I have phone service/does the camp have wifi? A: During your off times you are allowed to be on your phone. Even though we are far away from the Lower 48 we still have service up here! Sprint is a little iffy but all other carries work extremely well. The office is the only spot on camp with wifi. Counselors are allowed to use the wifi as needed on off time. Q: Can I send letters to my friends in the Lower 48/How many stamps does it cost? A: YES! We immensely encourage snail mail! For a normal size letter it only costs 1 stamp!